I got dragged off to another site today and wasted too much time browsing their wooden puzzles. Then it occurred to me, other than Gene’s many games and a variety of nail puzzles, Are there any puzzle makers here on LJ? Do they socialize with regular woodworkers? I am very fascinated with puzzles, but I’m not much good at solving them. I do have a keen desire to want to know how they are constructed, but the information seems to be as tight of a secret as a magician’s illusions. One thing I have noticed though, is that the puzzle makers sure seem to have great skills in building what they build. So are there any LJ puzzle makers out there? And are you willing to share any of the workings and techniques in your builds? I built a few of the puzzles in this book. I for one build puzzles and have tried to sell them as well. hard to build not many for sale I have several books I will recommend. that should keep you plenty busy. ther are hundreds of variations. We never socialize with people that don’t know the secret, ever. If I told you the secret I would have to kill you. Having said that, here is the secret. Go to your saw, cut. Rance, I love to make logic puzzles and games. I would recommend all of the above books as well. 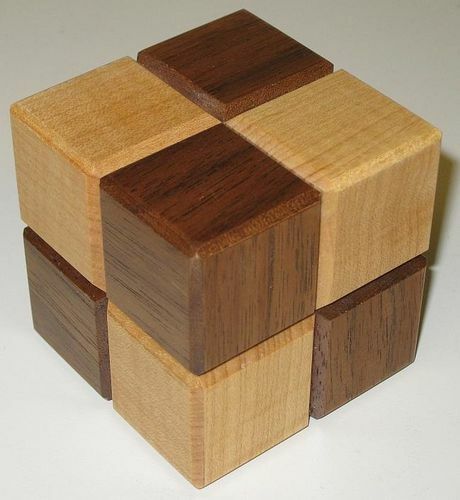 I also love puzzle boxes but have not yet attempted to make one. I actually have 3 of those KaraKuri puzzle cubes. Hope you will think about blogging the process of making yours. Yeah even I like the logic puzzles very much,I specially fond of such puzzles. when you get tired of that there’s lots more out there. Puzzle makers are like, “Here, make this, you’ll still never figure it out though.” There are some Gawdawful badass puzzles out there. Now that you are finally at your saw, try keeping one of these books open beside your fence. Both great. either at your library or AbeBooks & AbeBooks for cheap. The Slocum one is gorgeous to boot. No hair accessories needed.